5 days, yup, that is it. 5 days until the big guy comes and breaks into our houses...but instead of taking things, he leaves them. It is a wonderful time of year, a time to celebrate, to reflect and to watch our kids light up with the excitement and wonder of the season. I'm just not there yet...only 5 days away and I am kind of dreading the day. Is that bad? We don't usually start getting ready for Christmas until after Angels birthday...and that has come and gone. We have our tree, our lights up, presents bought (not wrapped yet)...we are pretty much ready. 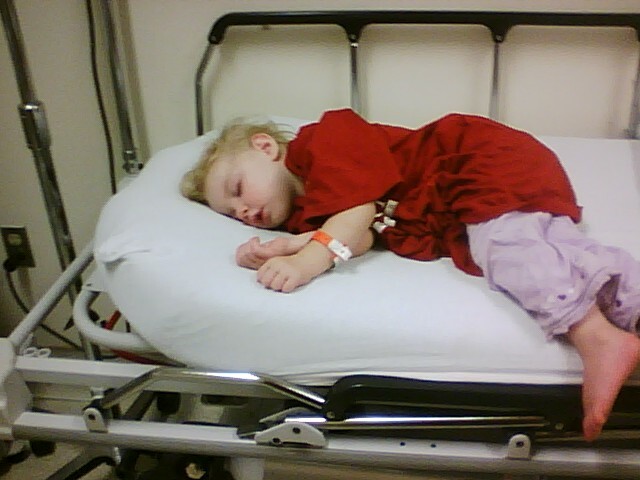 I can't help but go back to last Christmas and remember the massive seizure that Faith had on Christmas Eve. The morning where Faith wasn't with us until noon. 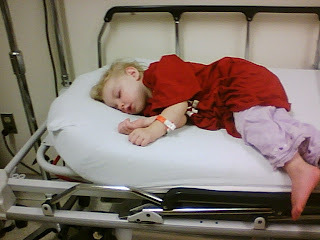 The memory of calling the hospital to see if Faith would be discharged at all. Then the trip to the hospital to pick her and Pete up. 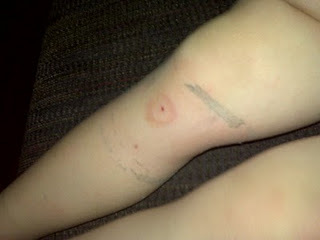 The fact that the seizure was so big that she had to have medication drilled into her leg bone. I can't help but wonder, and almost expect, something to happen this year. I just can't get the idea of it out of my head or my heart. And because of that, I just can't seem to get into the Christmas spirit this year. Christmas will come, no matter what. It will show up in 5 days. And I will worry and stress about this issue until the holidays are over. I have realized that our family will have to have an "escape route" plan...when we see Faith reaching her limit, one of us is going to have to leave with her. I haven't decided yet, what that will entail. But it will either be bundling up and going for a walk to calm her down, or just coming home. We will be explaining this to friends and family, so they are not upset that we had to leave, but hopefully can understand the issues surrounding Faith and respect our decisions to leave (or stay). I would love to hear from others about how they handle the "overwhelming excitement" with their kids who have special needs. Have you found ways to help your child cope through the disrupted routine? The many visits? The bomb of gifts that may happen? How do you help your child stay grounded...if that is even possible? And just as important...how do YOU stay grounded and actually enjoy the holidays? I love having Faith around. If you ever need someone to watch her for an hour or two so that you can go out and about please dont hesitate to ask! You are all in my prayers is Christmas.